This is a pretty simple recipe for porkhash...I also use the same filling for crispy gau gee (fried wontons). I like to add some dashi or powdered soup base to the mix for extra flavor. 1.In a medium bowl, mix together the ground pork, shrimp, egg white, water chestnuts, green onion, soy sauce, oyster sauce, salt, pepper, and sesame oil and dashi. 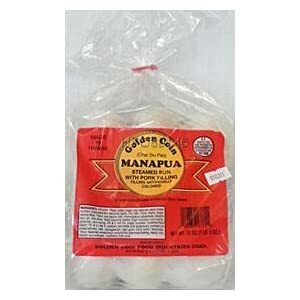 2.Place about 1 tablespoon of this filling onto the center of each dumpling wrapper, and bring the sides up to the top. Do not seal the top, as these dumplings are left open. Place dumplings in a steamer. 3.Set the steamer basket over a pan or wok of boiling water. Steam for 30 minutes.